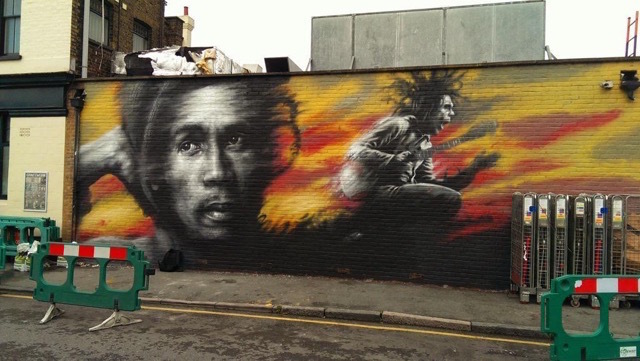 A new mural of Bob Marley which has been painted by Dale Grimshaw. Nuria has painted this wall, with her trademark angular designs. Work by Louis Masai at Beecroft Garden Primary School. 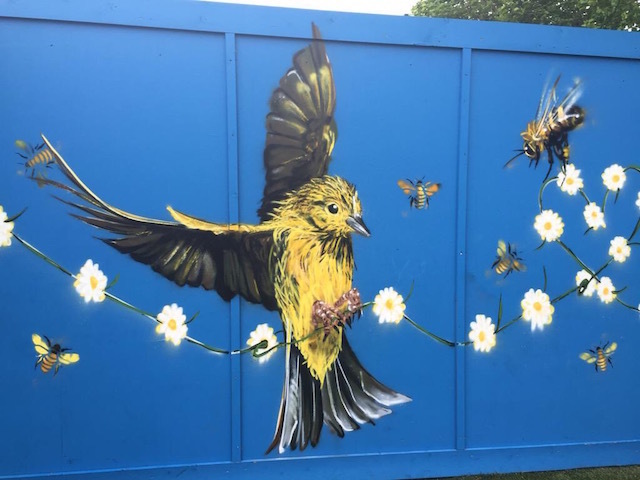 The first weekend of the Brockley Street Art Festival saw top-name artists throng the streets as they buzzed around walls with spray cans and paint. Among the works that went up was a new mural of Bob Marley, which replaced one that was lost during demolition for a new housing development. Images of the musical legend, who would have celebrated his 70th birthday this year, have been a common sight in Brockley for decades. The new portrait has been painted by Dale Grimshaw. There is also a programme of events and talks, including tonight the wonderful pioneering UK graffiti knitter Deadly Knitshade, who'll share her unique approach to street art, discuss the new trend in removable and transitory street art, and give advice on finding your own street art style. Tomorrow, there's an entertaining discussion about the science behind street art, with Science Showoff, Dr Steve Fossey and Steam:Ed Collective. While on Thursday there’s a chance to revisit the London Graffiti scene of the 1980s and 1990s at a one-on-one between The Artful Dodger — one of the first aerosol writers to emerge from the UK — and educationalist and anthropologist David Holloway, curator of some of the country’s first graffiti exhibitions. Brockley Street Art Festival is organised by local residents working in partnership with Londonist, the annual Brockley Max festival and Global Street Art. 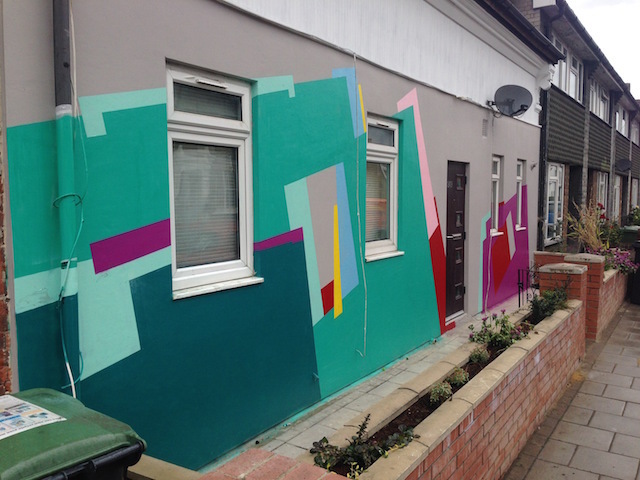 The Brockley Street Art Festival runs until June 6. See the website for full information about the events.